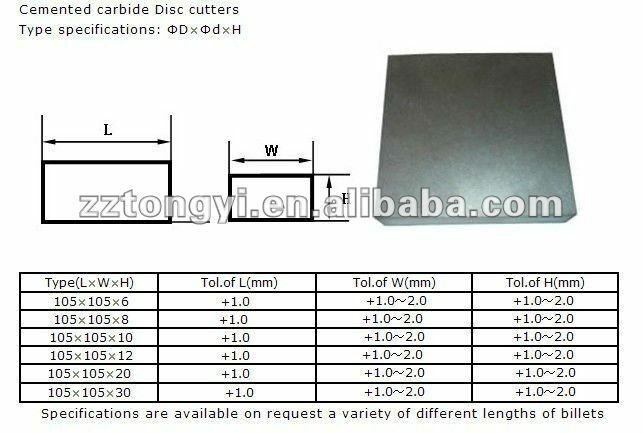 Tungsten carbide plate is a rectangular solid or a cube. 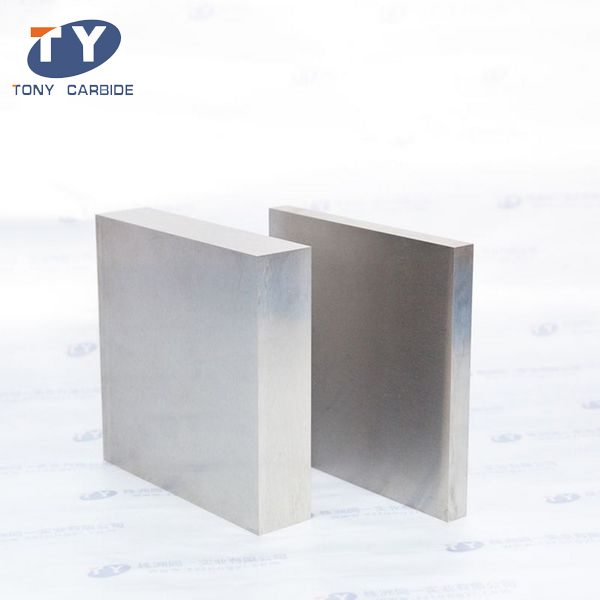 The different contents of WC (Wolfram Carbide) and Co decide the different properties and purposes of tungsten carbide blanks. It is widely used in manufacturing for its high hardness, excellent wear resistance, high elastic modulus, high compressive strength, chemical stability, impact toughness and low dilatation coefficient. 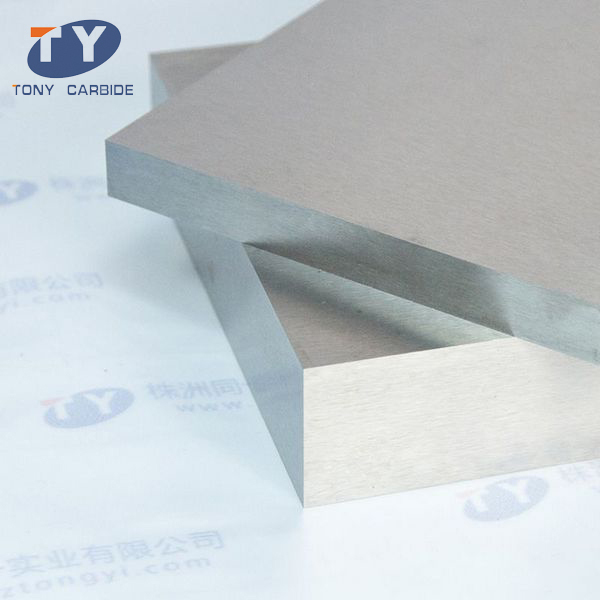 Tungsten carbide plate is the most ideal material for producing heat-resistant parts, wear-resistance parts, anti-shielding parts, anti-corrosion parts. Our tungsten carbide blanks can be made in standard and custom configurations. We can change its grade and dimension to meet customers’ different requirements. 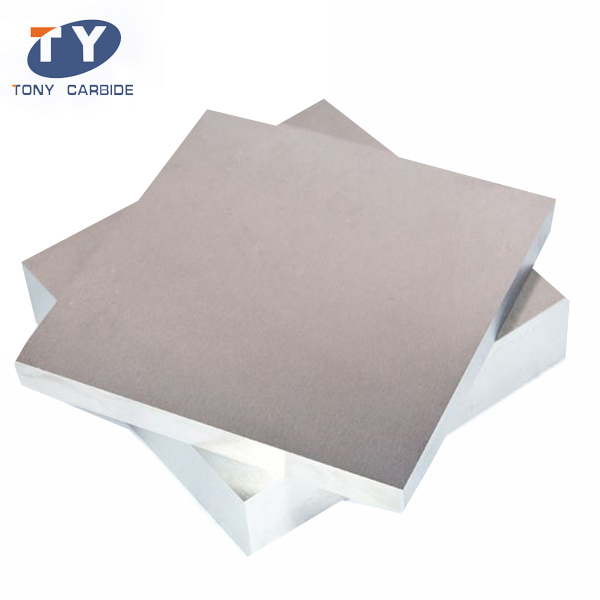 Tungsten carbide plate is frequently used for making progressive press tools and progressive dies of high velocity ram machine. It is suitable for making connectors in electron industry, IC industry and semiconductor. 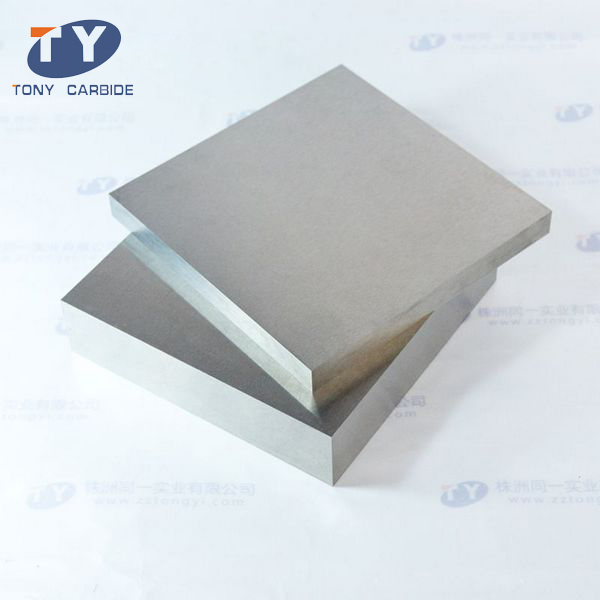 Other applications of tungsten carbide blanks include armature, stator, LED lead frame, EI silicon steel sheet and punching mould for hardware and standard parts. YG6 (K10), YG8 (20), TYK30 (K30) and TYK40 (K40) are highly recommended grades. Tongyi Industry provides any blank with coolant holes to fit customer applications. Single or multiple through-holes parallel to the long axis, perpendicular bleeder holes or multiple branching cross holes connecting to a central feeder hole are also provided. YG6 14.95 89.5 2580 They are suitable for semi-finishing and rough finishing of cast iron and light alloy, and also for the milling of cast iron and light alloy. YG6A 14.89 91.5 2350 These tungsten carbide plates are suited for the finishing and semi-finishing of cast iron and nonferrous metal, and also for machining manganese steel and quenched steel. YG15 14.05 87.1 2700 This tungsten carbide plate is suitable for drawing steel bars and tubes in high compression rate. As a reputed professional manufacturer in China, Zhuzhou Tongyi Industry Co., Ltd. produces a full range of carbide products, including tungsten carbide buttons, tungsten carbide bits, carbide dies, carbide rods, tungsten carbide blanks, and carbide anvils, etc. We are able to change grades to make different tungsten carbide plates to meet our clients’ specific need. Our products are highly appraised by customers both home and abroad.